I recieved a call today from a friend who was receiving an error message when he was vMotioning a server. 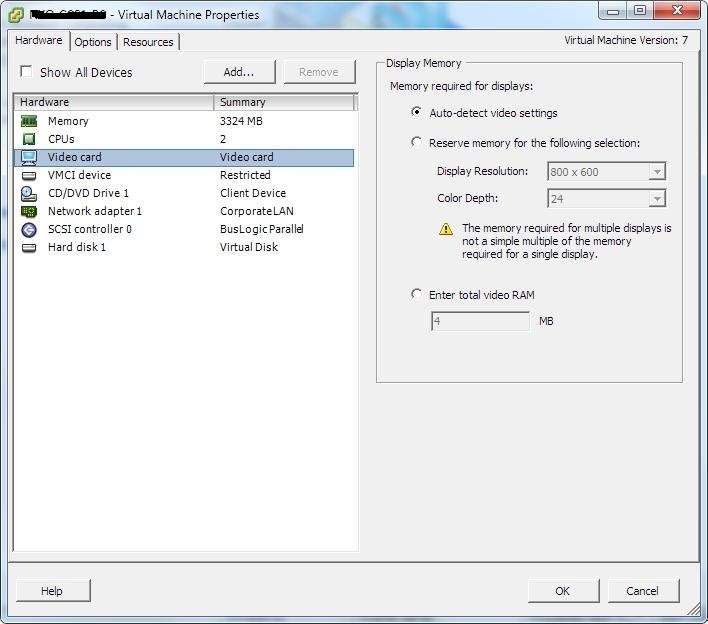 The quickest way I have found to change this is to edit the VM’s properties and change the video card to “Auto-detect video settings”, one thing to remember is the VM must be powered off to make this change. If you have many VM’s that need changing you could use a Poweshell script to achieve this.